MEDI+SIGN digital nurse station monitoring display updates the care team on round and pain medication schedules, as well as the patient’s pain level and pain level trend. The display acts as a quick reference for patient names, room and nurse assignments, as well as potential isolations. 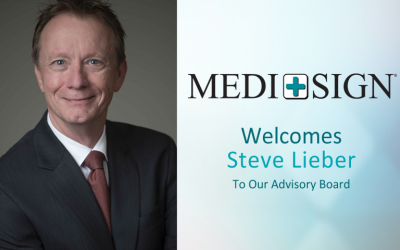 The focus of MEDI+SIGN’s connected health platform is both patient and provider-centric, allowing more opportunities to create operational and workflow efficiencies across administrative, clinical and informatics teams. Like MEDI+SIGN’s other solutions, the nurses’ station display connects to existing electronic health records (EHRs) and other legacy systems to streamline the work processes, and communicate updated and accurate information in real time. The customizable design can be altered to match the hospital’s aesthetics, and icons and language can be changed to your staff’s current system for a seamless integration into your hospital. 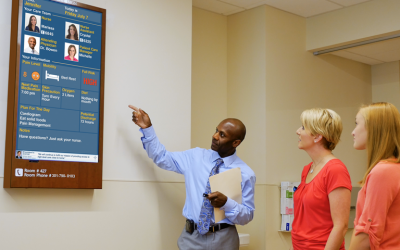 When paired with Anti-Fall™ technology, additional information can be displayed to further improve patient care. 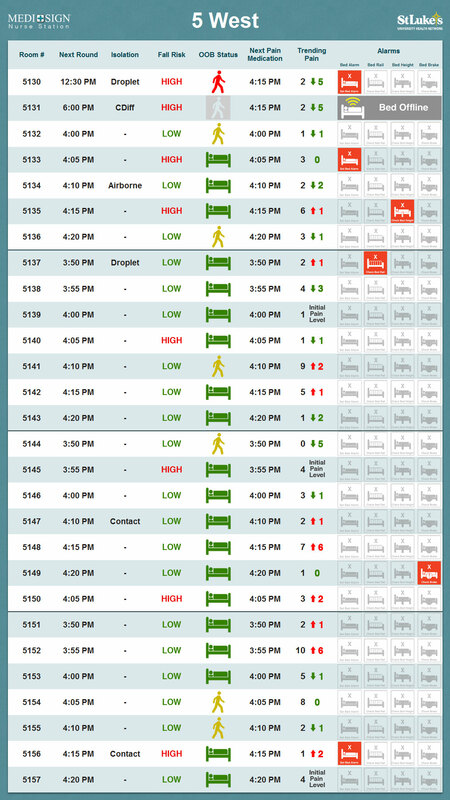 Robust functionality enables data on patient’s fall risk, out of bed status, real-time mobility status and compliance with patient safety procedures, to be displayed at-a-glance to care teams. Flashing visual alarms display Out Of Bed (OOB) status for the patient, while flashing bed alarm alerts notify staff of the room alarming, augmenting lights outside the room and nurse call alarms to reduce alarm fatigue in nurses and to encourage a healing environment. The information displayed on the MEDI+SIGN solutions can be customized for each hospital organization and for the unit in which it will be used. Each information block is simply a ‘widget’ that can be moved, added or taken away from the display. Widgets are available for OOB status, next round due, next pain medication due, pain level and pain trends. More widgets are available upon request, and can be customized for use in the emergency department, physical therapy and pediatrics. If hospitals use specific icons, MEDI+SIGN’s design team can create similar looking icon packs so there is minimal training and orientation for the staff. Communication errors contribute to 65% of reported sentinel events. 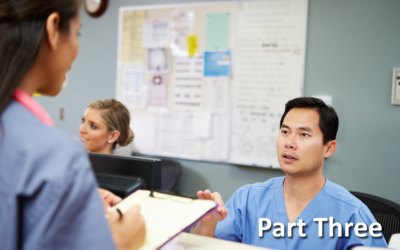 80% of nurses, house staff and attending physicians agree that whiteboards play a role in improving patient care, teamwork and communication. Falls are the third most common cause of unintentional injury death across all age groups. Contact us to learn more about integrating MEDI+SIGN into your health network.